The Sphero robots can be controlled using a smartphone, via the Sphero app, and can be used to play games learn to code, and more. 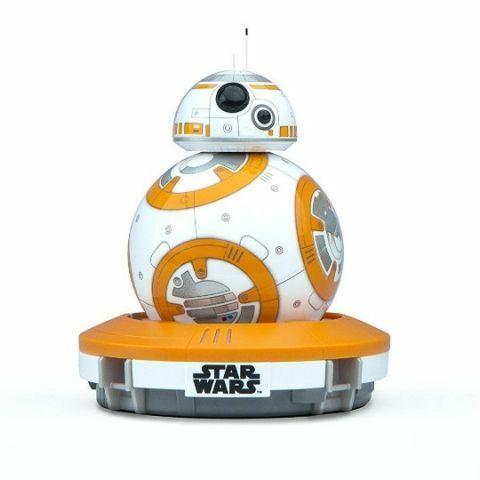 Luxury Personified has launched the Sphero Mini and Sphero Star Wars: BB-8 remote-controlled toys in India. Priced at Rs 5,000 and Rs 11,000 respectively, both the devices can be controlled via a smartphone or tablet and can be used to play games, learn coding and more. The Sphero Mini comes with interchangeable shells with different colours and features accessories which can be used to set up a course through which it can be navigated. A user can control them using the Sphero app, which allows for toggling between multiple modes like a joystick, face drive, slingshot and more. The Star Wars: BB-8 sports a patrol mode and comes with an 'adaptive personality' which changes with time to show expressions based on user's interactions. It rouses on voice commands and both the Sphero models are compatible with iOS, Android, and Window phones. Luxury Personified, a leading distributor of luxury electronics and accessories in India has launched Sphero in the Indian market. Sphero is a popular name among robotic toy lovers all over the world, so much so that even Barack Obama has been seen playing with one. You can control it with your smartphone or tablet and engage in hours of fun. Luxury Personified has launched two popular models of Sphero – Sphero Mini and Star Wars: BB-8. These are two of the most popular and top selling models. Sphero Mini is the world’s smallest app-enabled robotic ball. It can be driven around, used to play games, learn to code, and more. Mini has interchangeable shells of different vibrant colours, which you can choose as per your mood. It also comes with fun accessories like 3 mini traffic cones and 6 bowling pins, which can be used to device your own games. Upon downloading the Sphero Mini app, you can toggle between various control methods - joystick, face drive, slingshot, and standard tilt controls. Face drive is an amazing feature that uses your facial expressions to drive the ball. Here's a BB-8 Droid made of Legos, and it rolls! The Star Wars: BB-8 is a huge hit with Star Wars fans. It is one of a kind and is built for ultimate adventure. Its can patrol on its own, has an adaptive personality that changes as you play, shows a range of expressions based on your interactions, and perks upon voice commands. Sphero is compatible with iOS, Android, and Window phones. Star Wars: BB-8’s unique Watch With Me feature allows your droid to watch Star Wars: The Force Awakens and Rogue One: A Star Wars Story with you. Just start the movie and enjoy its reactions along with the film. While, Star Wars: BB-8 is a premium model, priced at Rs. 11,000. The Sphero Mini is reasonably priced at just Rs. 5,000.